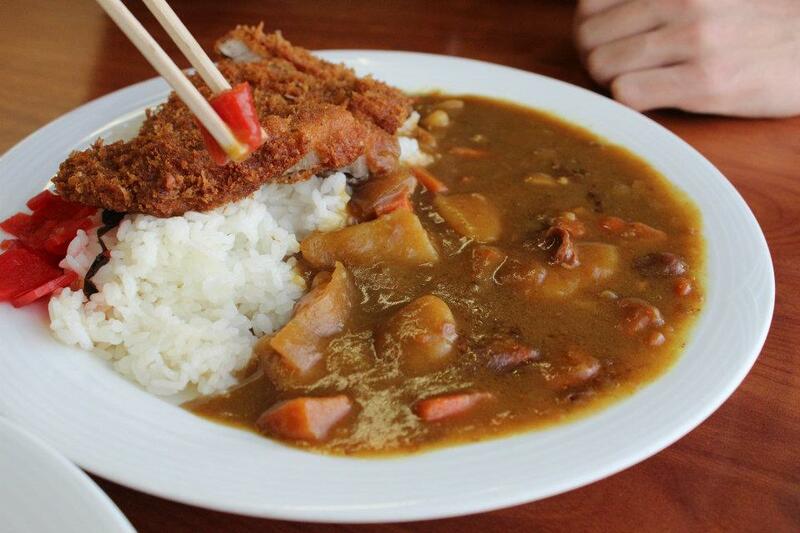 Japanese curry is perhaps one of the oddest tasting delicacies in the world. From spicy to sweet, Japan’s take on the Indian and English dish has taken on an eclectic culinary life with different recipes calling for new and exciting ingredients, and then they take on some interesting designs. For anyone who has been to Japan you know the curry I’m talking about. It’s the kind you can buy at a little restaurant in a train station or the kind hidden below a bustling department store. It’s the kind of curry you can find on any street in Japan and even in some fast food restaurants, but not in Toronto. 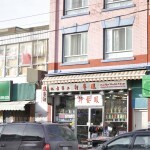 There are a few places in Toronto, however, that serve some pretty decent curry and here’s a quick list of where you can find yourself a satisfying bowl. That right there is a bowl filled with the dreams of many a Japanophile, and it’s also surprisingly like the real thing. All of the ingredients being used to make curry at J-Town come right from the source. Part of the shopping centre’s allure is its mix of real Japanese products they have on sale. This includes a selection of pre-made curry and curry blocks that you can buy. Everything from the sauce to the pork cutlet tastes as close as you can get to the real thing, but there are some notable differences in how they cook their curry. Included in most dishes is a heavy serving of vegetables, which is normal to find in curry and it also makes this a healthy choice on their menu. 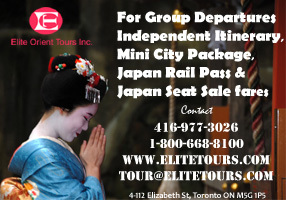 Located right at Yonge and St. Clair avenue in Toronto (close to St. Clair station) is the Sushi Garden Japanese Restaurant. Tucked away in a small shopping centre, this restaurant is a local haunt for business women and men in the area, and also one journalist who worked close to the area once upon a time. 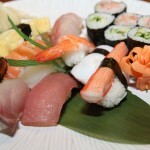 As a Sushi Garden, the restaurant also serves quite a selection of sushi alongside other home-style dishes. However, the best part of the restaurant is the service. Friendly, welcoming, and fast you’re never left waiting to be seated or to be served making this a great restaurant to get in and out with a full stomach. But… and this is a small “But” the portion sizes of the curry are a little on the small side. For what you pay (about $7.99) for a bowl, you’ll get a relatively small plate of food alongside anything else you order. In other words, don’t expect to receive that big bowl of curry you might be used to from Japan’s many train stations. 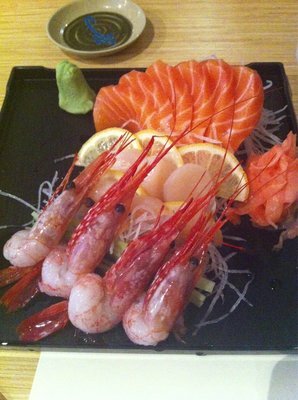 It’s with a bit of sadness I write about Mikado, a restaurant formerly on Laird Drive along Eglinton in Toronto. 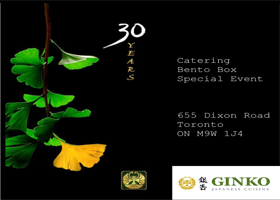 Since 1978, Mikado had served some of the most authentic, home-cooked Japanese food in Toronto. Keiichi Masuda (桝田佳一), the owner, admitted in a story with Nikkei Voice earlier this year that his first love wasn’t even Japanese cuisine, but nonetheless he made some amazing tasting food. 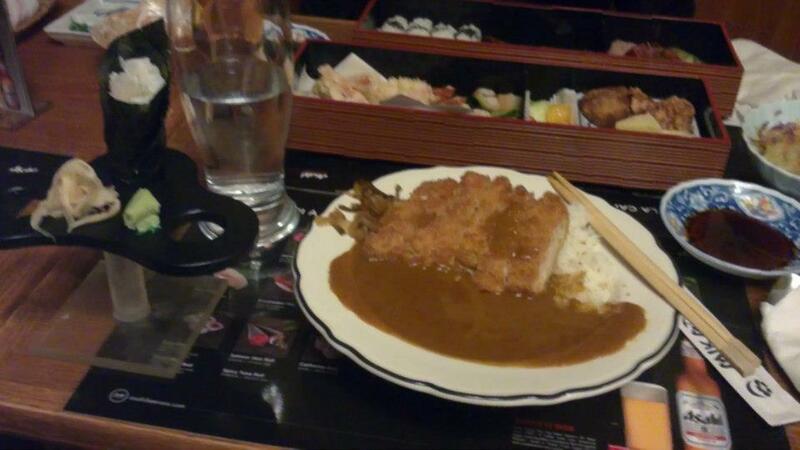 The photo isn’t very good, but let me assure you this was probably the closest I’ve ever had to eating real Katsu Curry in Toronto. Considering the head chef’s degree of experience when it came to cooking Japanese food it was expected that his curry would taste like the real deal. The sad part of this section is that Mikado is no longer open as the head chef retired earlier this year. It’s a real shame to get so close and then suddenly to have this link to Japan taken away from you, but considering the restaurant’s doors were open for over 30 years, I expect Masuda is taking a well-deserved vacation. 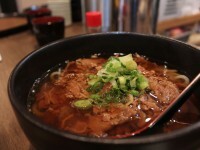 Located in the Grange near to OCAD in Toronto, Manpuku is a great example of a restaurant that provides good food for those on a tight budget. 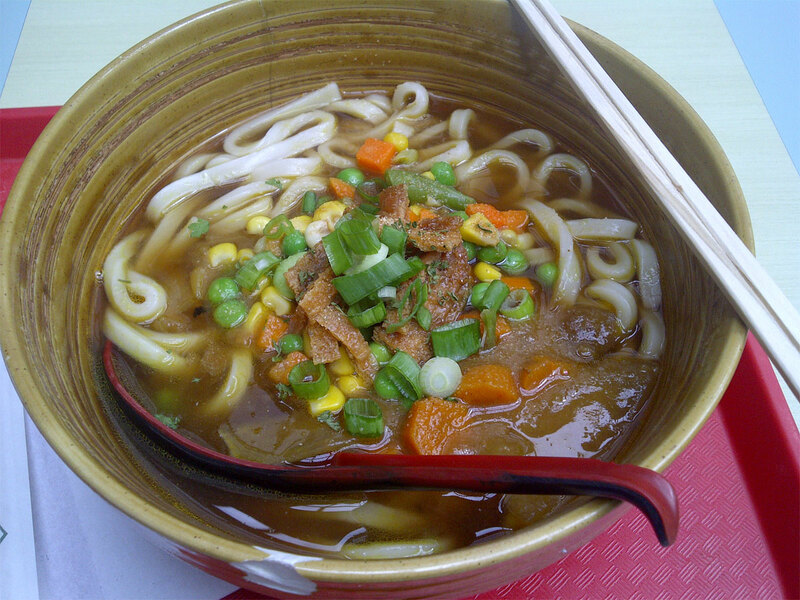 With a menu consisting of a number of home-style Japanese dishes, the little place will quickly win over your heart with its great environment and its Curry Udon. 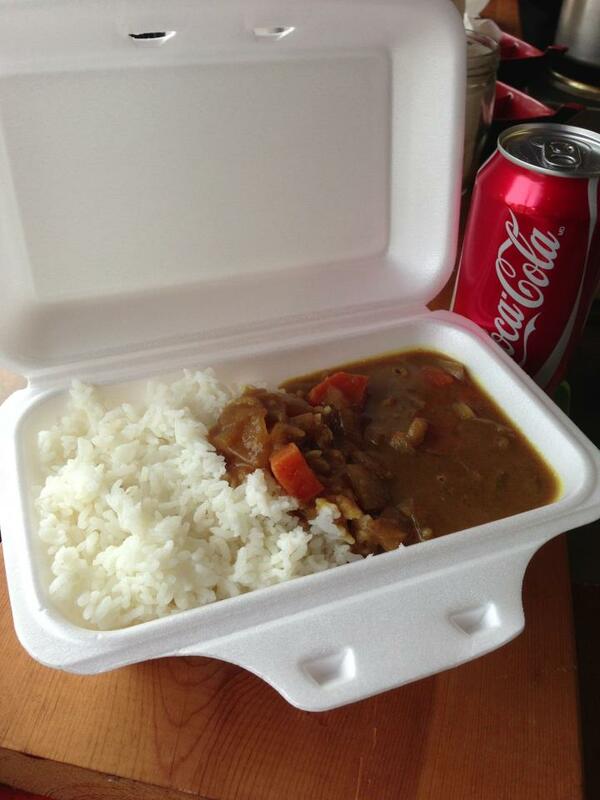 One of of the great appeals of curry in Japan is its price. Once a friend of mine told me they considered curry as an equivalent to the potatos and gravy we enjoy here in Canada (I know Billy Bob Thorton wouldn’t agree). Manpuku gives customers the ability to order food that will both fill you up and keep your wallet a little heavy whether you’re a student or a starving writer in downtown Toronto. Gushi is a Nikkei Voice favourite and a food stall in downtown Toronto where you can get a combination of two of the best things in the world. Karaage Chicken and Curry Don. If you get a bowl of Karaage Chicken and Curry Don your stomach and tastebuds will think you, but you arteries might not. As well, be sure to check back with Nikkei Voice soon! We’ll have a short article on how Gushi will be updating its menu over the next little while. As someone who prides themself on their inability to cook, this option might not appeal to most. However, curry is also one of the easiest examples of Japanese cuisine that you can make on your own. It’s as easy as buying the ingredients and really experimenting with the formula until you get it just right. 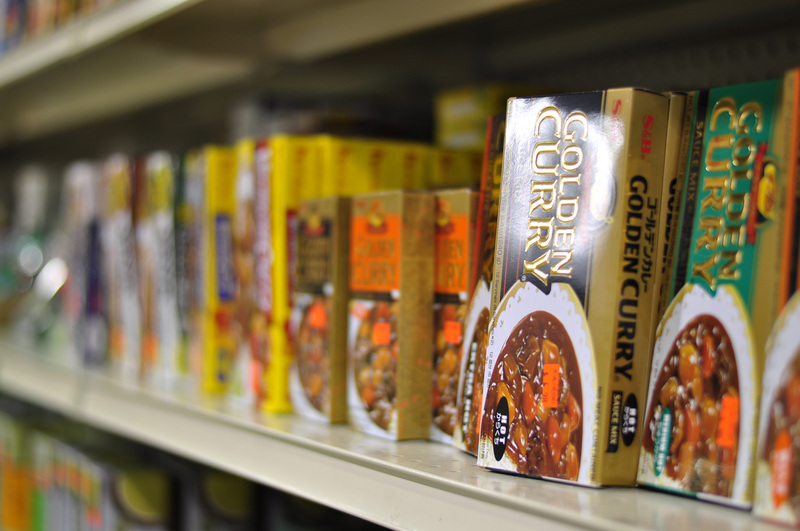 Boxes of curry line the shelves at J-Town. From mild to spicy each are set to delight the senses. Thanks for stopping by and taking a read! If you know of any good places to get Japanese curry in Toronto be sure to comment on the article below and we’ll Tweet it out courtesy of you to all of our readers! There’s a brand-new curry restaurant in the Aura food court at Yonge and Gerrard! 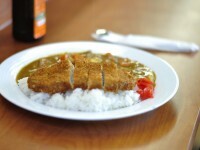 The cheese katsu curry is fantastic – recommend you check it out!